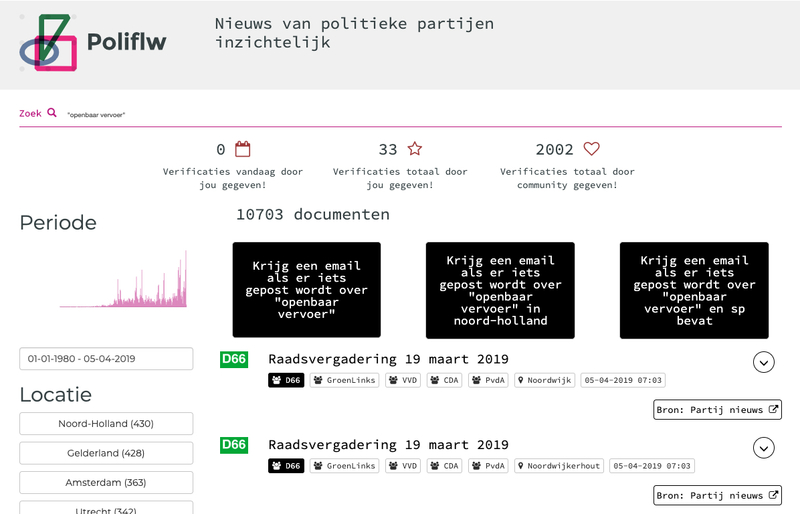 Want to stay up to date on news that Dutch political parties publish on their websites and Facebook-pages? 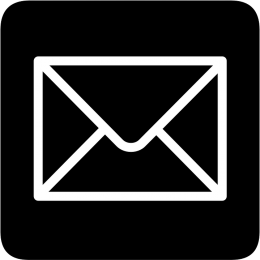 Start using mail notifications on PoliFLW. Via these websites more than 600.000 articles of 800 national, regional and local political parties can be found. Are you interested in sustainability, housing or biking infrastructure? 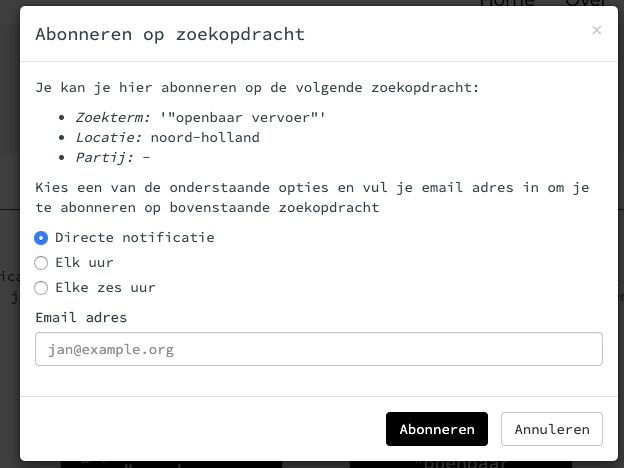 Then you can easily configure mail notifications you want to receive on a certain topic, political party or regional. Ideal for active citizens, journalists and lobbyists. PoliFLW is being developed with support of SIDN Fonds.